Sure glad we had some time to relax and patch things up out there. Exploring the back yard with a three day bike camping excursion sure hit the spot for spring delight. Any questions, I didn’t think so! Another season marching by, luckily it’s not over yet! San Miguel Bike Alliance Thanks You! 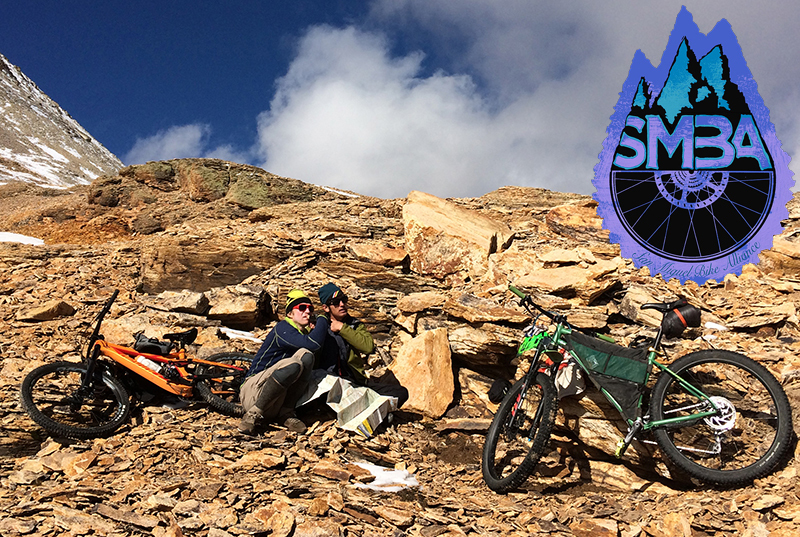 Thanks for another great season of increasing excitement and awareness of what our trail’s can be. It’s hard to imagine a better off season treat than these glorious conditions. Traction on Eider is at an all time high. Likewise, the high country continues to ride like a dream. 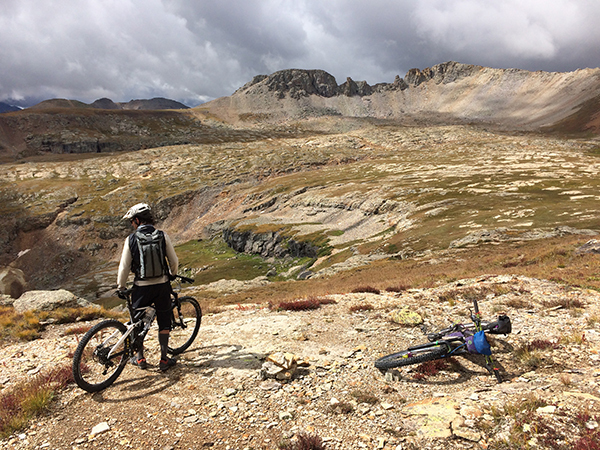 As our climate changes and the window of opportunity expands for riding up high, we should rehab and reroute unsustainable high country trails to improve our riding opportunities. SMBA graciously gave up the park to Neil Young for our annual September 30th party, so this year we’ll be doing an election night FUNraiser to help distract us from the fate of our nation. 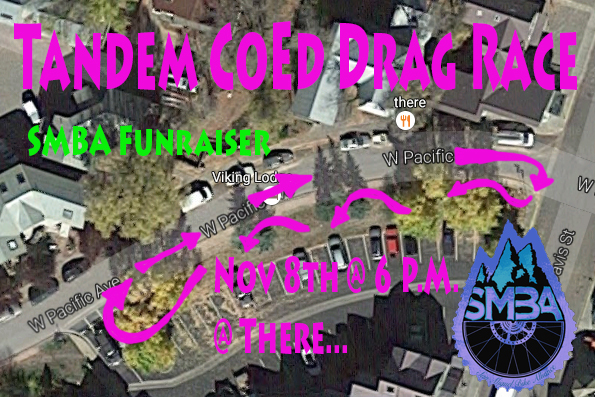 All are welcome to join us at There… 6 P.M. Tuesday, November 8th where we’ll be drag racing for SMBA. Partners will race a lap on an Xtracycle and then swap spots for the second lap. Fastest time wins! We’ll have Xtracycles, Helmets, Lights, and Prizes! 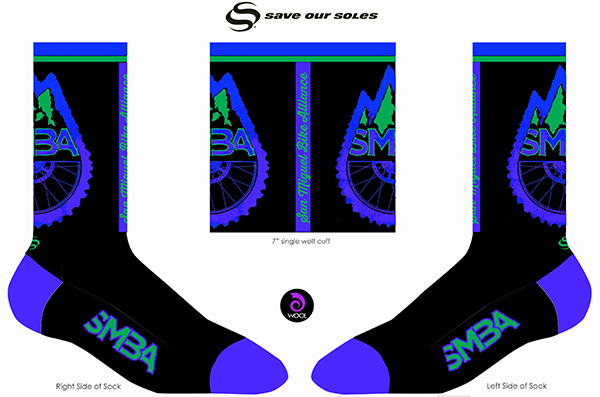 All proceed’s will support SMBA’s ongoing efforts to improve our trails. Alta Lakes new trail has been delayed. 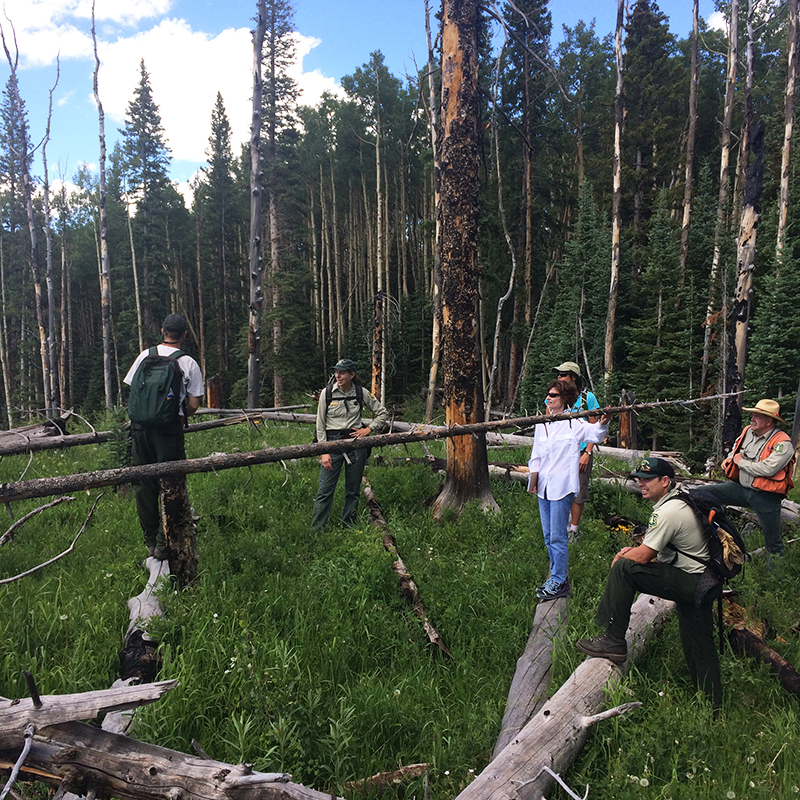 Unfortunately there are issues with the cost of the new trail reroute and the landowner has concerns over access to the National Forest after trails that lead to Skyline ranch are closed. Hopefully these issues can be resolved and we’ll be moving the project forward with full support of the landowner. Furthermore, someone ripped out the new trail flagging. Any information regarding the so & so responsible would be much appreciated. Telski is quite excited about the new flow trails they have been constructing with Gravity Logic off the top of chair 4. Please remember that the ski area is preparing for winter now so please smile and wave and stay out of their way. Meanwhile, we have been walking potential cross country trail alignments with Telski, and those may be further off in the future, but the support is there. 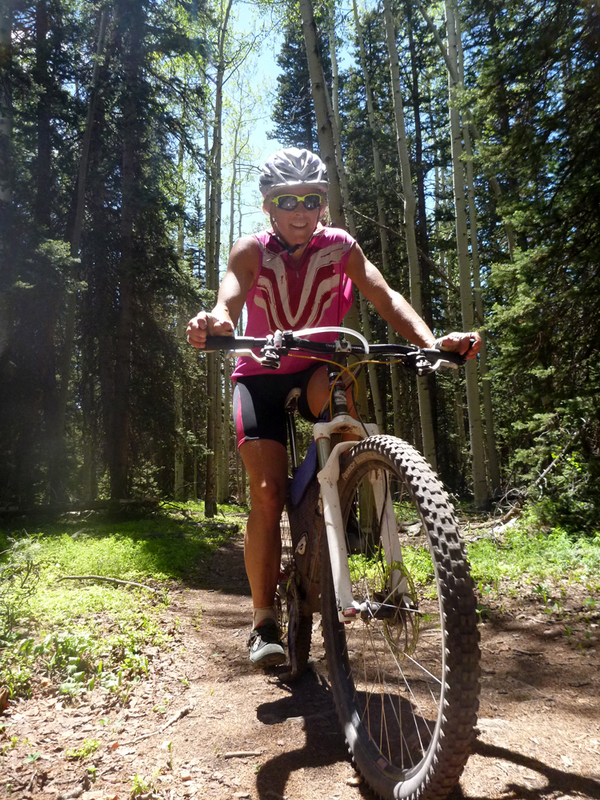 In conjunction with the Telluride Mountain Club Trails Group we have been working on our dream trail list. Thanks to all who helped us by filling out the Trails Group Survey. Special thanks to Mark Plantz for walking some potential alignments and sending us gps tracks recorded with the free TrackRec app. Actual ground-truthed alignments are very helpful for determining property boundaries and the like. Anyone else who wants to help in this way should feel free to send us their tracks. 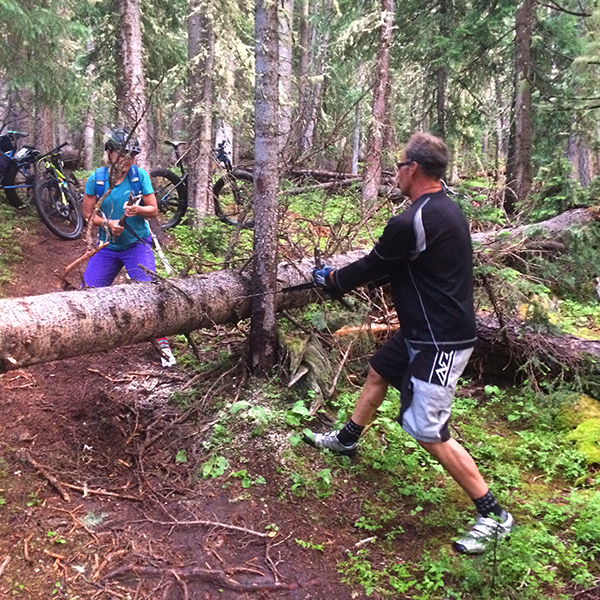 A special thanks as well to the all those who take time to keep our trails clear. 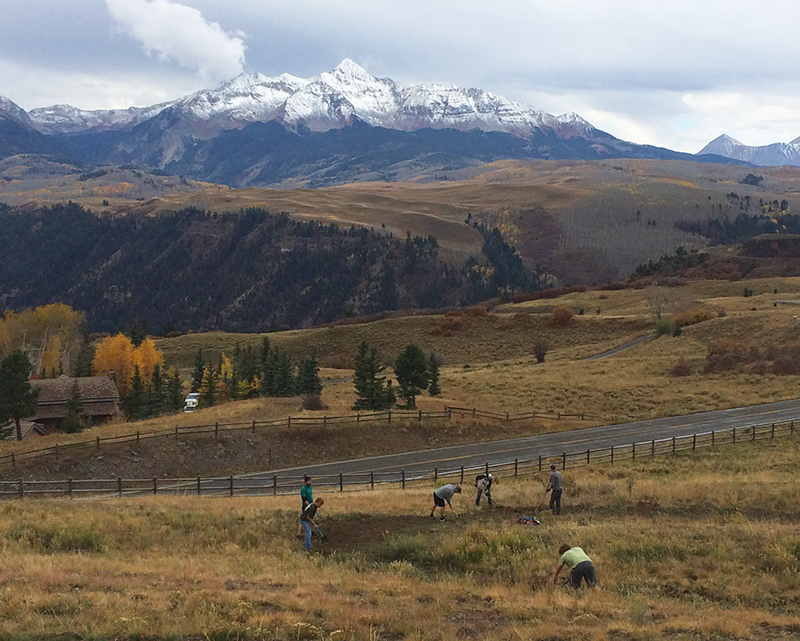 We look forward to the upcoming formation of a paid trails crew to get even more done. 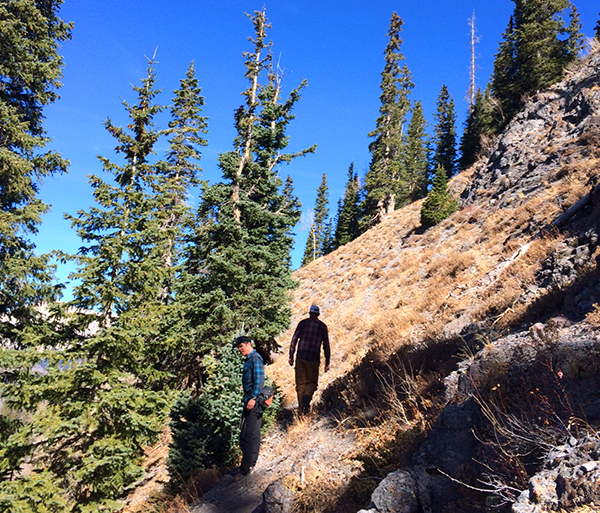 Thanks to Ski Butlers for bringing 25 volunteers out to work on the Aldasorro east trail in early October. Despite looking like a double track for four wheeler’s, we’re working to improve the drainage and add the occasional jump. Thanks to all who came out and worked this summer. Please remind your elected officials that we want new trail construction to be done right no matter what. 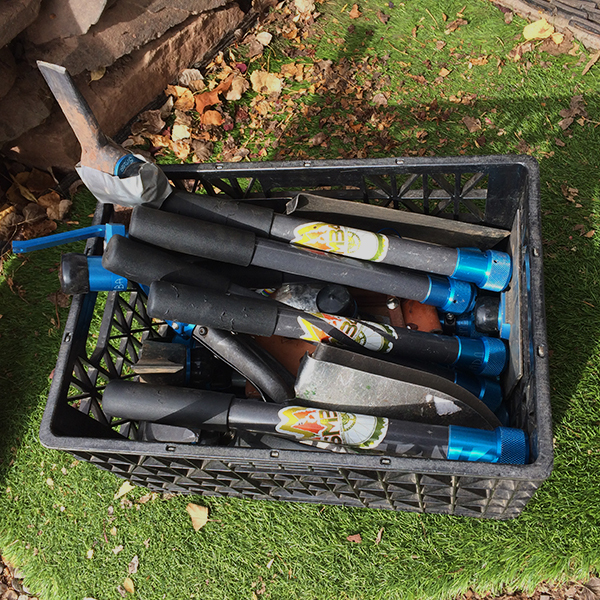 Those who still have SMBA packable trail tools, please bring them back. Trail Boss is sending upgraded collars to improve them and we are going to service them for next season. Seems safe to say that we’re going to have one of the hardest working County Commissioners imaginable on the job soon. And she happens to love Stomping up Eider on her bike! Thanks for supporting the one and only Hilary Cooper! Copyright © 2016 San Miguel Bike Alliance, All rights reserved. Chuggin along, dialing in the bike alliance to get some trail work done.